The villa itself sleeps up to 16 people and comes with all the luxuries you would expect of a villa of this stature. A tennis court and home cinema are just a few of the luxury facilities on offer. The main attraction has to be the stunning pool and beachfront access though. Villa Mirage has to be one of the best luxury villas with a swimming pool in Ibiza. This villa, located in Northern Ibiza, benefits from not one but three swimming pools, two heated outdoor pools and one indoor pool. The large outdoor pool shown above has to be the best of the three though. With stunning 270 degree views over Ibiza town, the surrounding countryside and the coastline beyond, you really are spoilt with beautiful vistas. Surrounding the pool you have a hot tub to enjoy as well as a barbecue area, numerous terraces and a lush mature Mediterranean garden and grounds. Internally you are treated to a whole plethora of luxury amenities such as pool and table tennis tables, a poker table, a Bang and Olufsen sound system throughout and of course the aforementioned indoor swimming pool. Sleeping up to 12 people in true luxury this villa easily made it into my top luxury villas with swimming pools. Castell de Manresa is easily up there with the best luxury villas in Mallorca, if not the World. This amazing villa sits on its own headland. 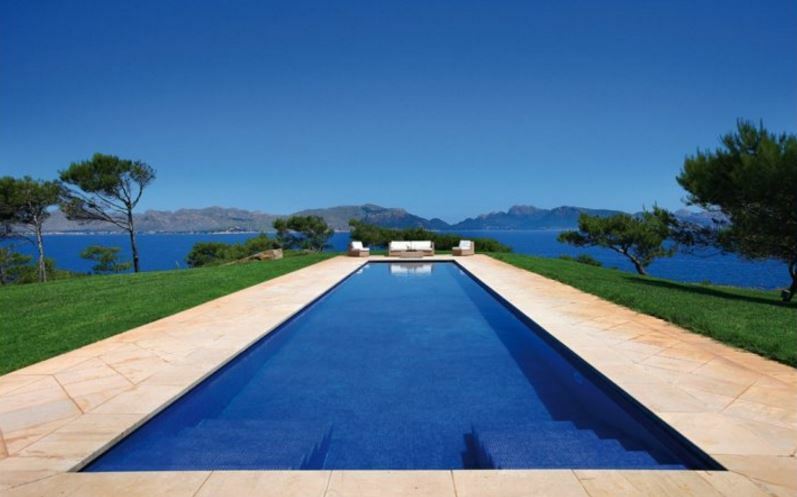 The 20m x 4m swimming pools sits at the tip of the headland and offers amazing views of the beautiful bay of Pollensa all surrounded by lush mature gardens. As if this villa couldn’t get any more luxurious, you can also have access to the owners private “Boston Whaler” boat moored nearby or his helicopter for an additional fee. 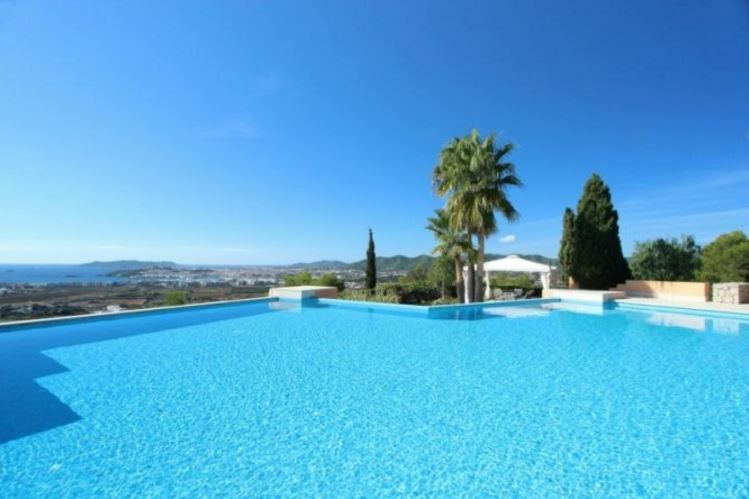 The features and facilities of this amazing Villa in Mallorca are too long to list. Take a look for yourself. It is a truly stunning property. Umbria is a picturesque region in the heart of Italy. With beautiful landscapes to enjoy and delicious wines it attracts people looking for a cultural, peaceful holiday. Villa Arrighi is one of the best luxury Italian villas with a swimming pool and fits the bill perfectly. 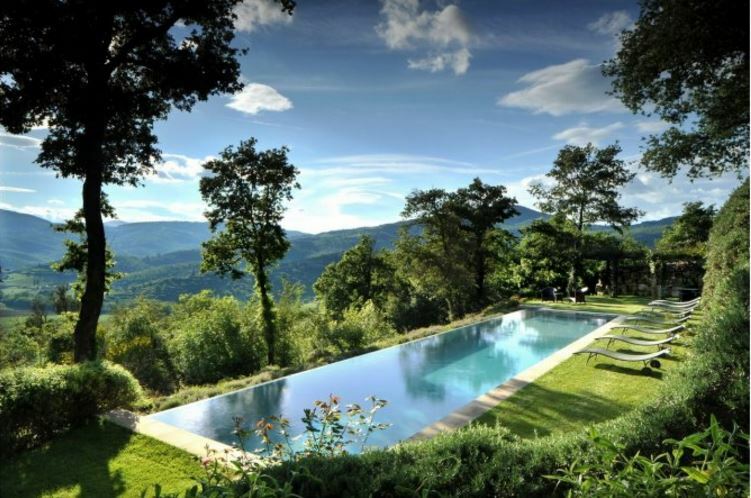 Surrounded by mature gardens and grass, the infinity pool is tucked away and secluded, and has great views of the surrounding forests and hills from the villas commanding position, perched at the top of a hill. The villa can sleep 12 people and mixes traditional Italian architecture with modern amenities and fittings. When staying in the villa you also get full access to the Reschio estate’s sporting activities, such as horse riding, rental of mountain bikes, picnic and boating on one of the lakes. I think the image above speaks for itself of why I chose Villa Sangkachai in Koh Samui to feature in my top swimming pools in Luxury Villas. 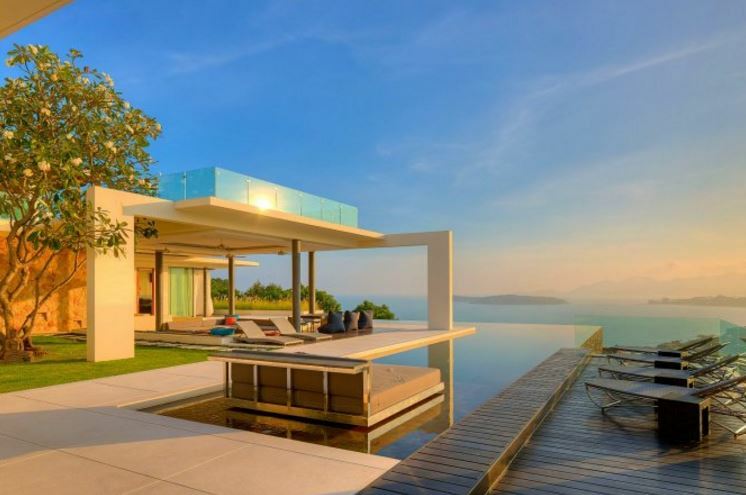 Luxury villas in Thailand with stunning swimming pool are in abundance but this has to be my favourite. The L-shaped infinity pool has great views of the surrounding bay and a large terrace allows plenty of space to relax between cooling off in the pool. In the evening you can relax on the villas own roof-terrace which has been utilised as a BBQ area. Another great area to take in these magnificent views. 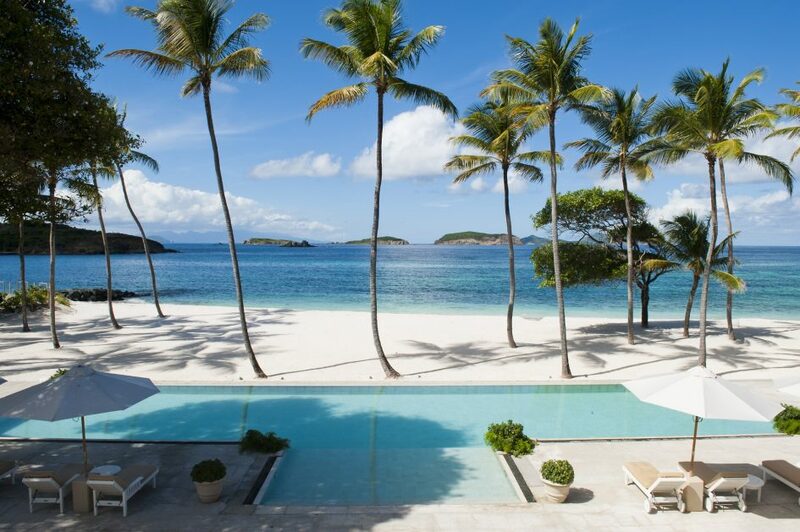 So there we have it….the best swimming pools in luxury villas. I hope you liked them. 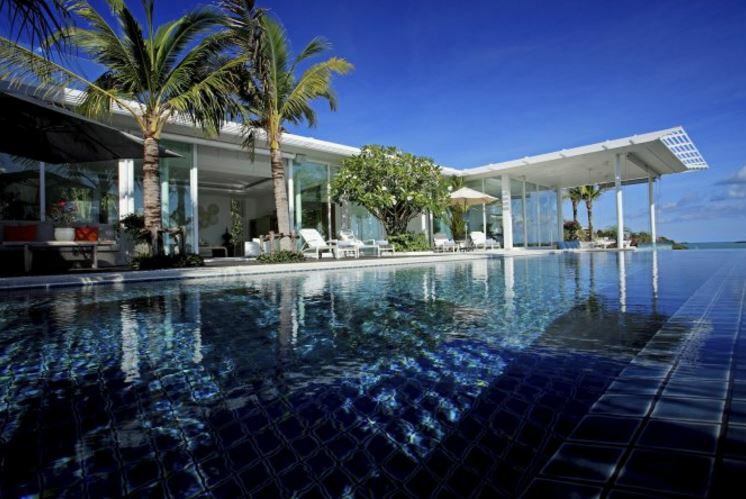 These are just a snippet of some of the great luxury villas with swimming pools that we offer. If any of these have caught your eye or you would like us to explore more options for you then give us a call on +44 1202 203 656 or send us an email. Alternatively check out our Facebook page for regular updates.